Early 18th century. England is at war with the French. Nevertheless, duck racing and pineapple eating are thriving. 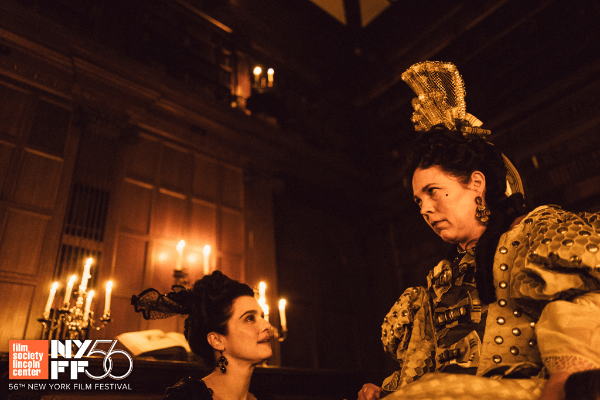 A frail Queen Anne (Olivia Colman) occupies the throne and her close friend Lady Sarah (Rachel Weisz) governs the country in her stead while tending to Anne’s ill health and a mercurial temper. When a new servant Abigail (Emma Stone) arrives, her charm endears her to Sarah. Sarah takes Abigail under her wing and Abigail sees a chance at a return to her aristocratic roots. As the politics of war become quite time-consuming for Sarah, Abigail steps into the breach to fill in as the Queen’s companion. Their burgeoning friendship gives her a chance to fulfill her ambitions and she will not let woman, man, politics or rabbit stand in her way. While I really enjoyed The Lobster, from writer/director Yorgos Lanthimos, I couldn’t connect with the director’s last work, Killing of a Sacred Deer starring Colin Farrell and Nicole Kidman. I’m cautiously optimistic for The Favourite. If you haven’t seen or heard of The Lobster, you really must at least check out the trailer. This entry was posted in Film Festival, New York Film Festival and tagged killing of a sacred deer, new york film festival, nyff, nyff56, the favourite, The Lobster, yorgos lanthimos by Melissa Hanson. Bookmark the permalink.